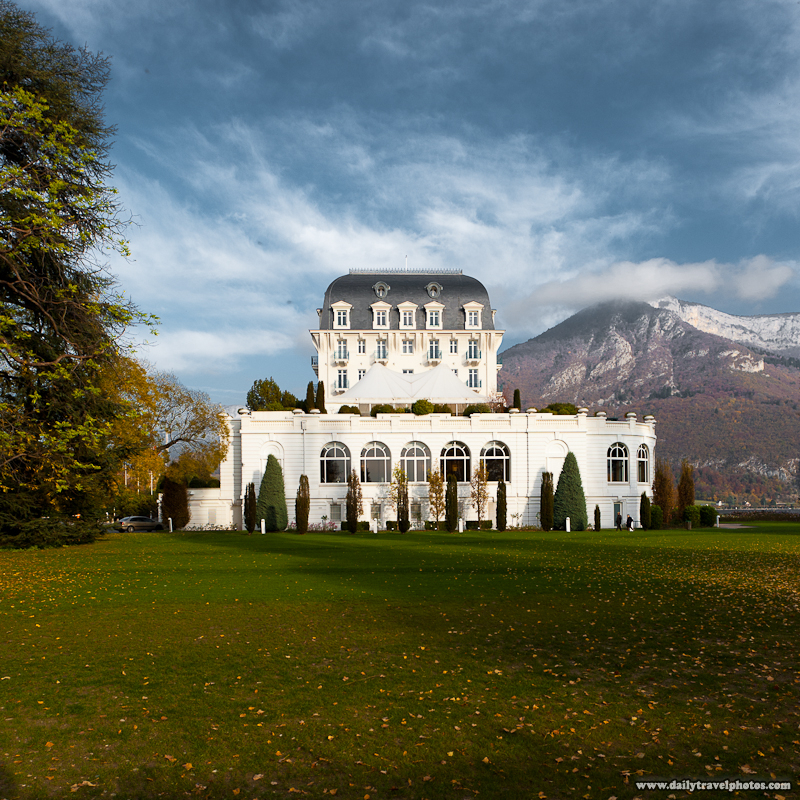 A side-view of the Hotel Imperial Palace, a lakeside casino, with the mountains of Annecy, France in the background. Quite a close call but I finally decided on the casino's side photo instead of the head-on photo (below) as the lead image. The mountains added a touch of je ne sais pas, if I may. 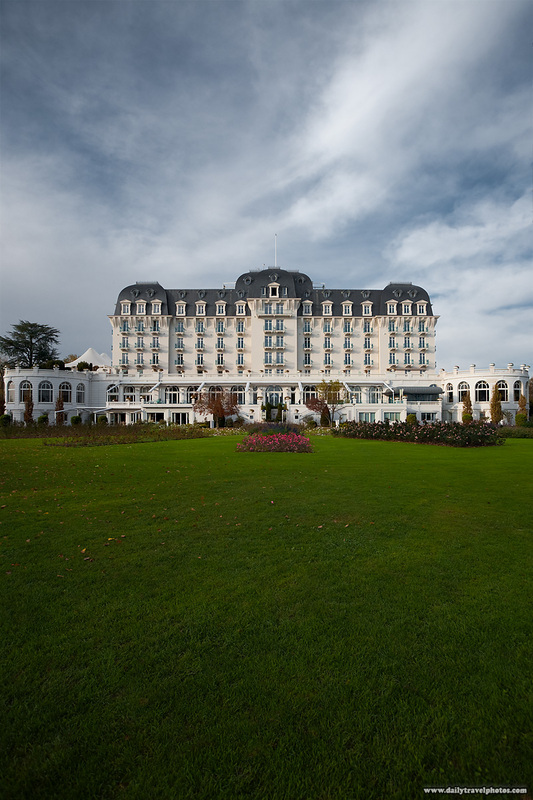 A rear lawn view of L'imperial Palace, an upscale hotel and casino in Annecy, France. I dare not approach the doors of this place as I'm certain they throw low class guys like me out on my ear.